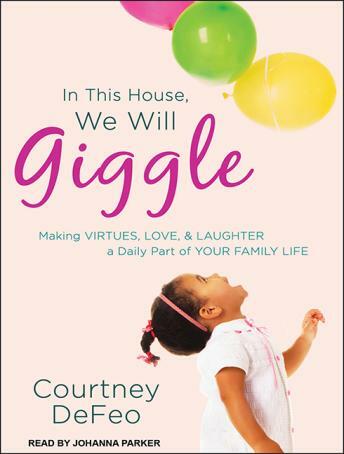 As a mom in the throes of parenting, Courtney DeFeo believes that instilling virtues in children starts with laughter, not lecture. That perspective propelled her to create this idea-packed book, in which she offers motivating reflections, real-life stories, and a sandbox full of inventive ways to help you turn your kids' hearts toward God. Each chapter focuses on one virtue that is key for developing your child's character. Along with insights into how this virtue plays out in the nitty-gritty of life, Courtney includes a memory verse, activity ideas, and discussion questions to reinforce that virtue throughout the month. Here you'll find a full year of ways to draw your children closer to God through delightful antics like Family Olympics, One Fancy Feast, and Light 'Em Up.